Looking to engage customers with your Portal? Embed it where they already spend their time. It'll be even easier for them to vote on ideas you're considering, review what features are planned, and see what you've recently launched. To make things even more seamless, enable SSO so users can submit feedback without verifying their identities by email. 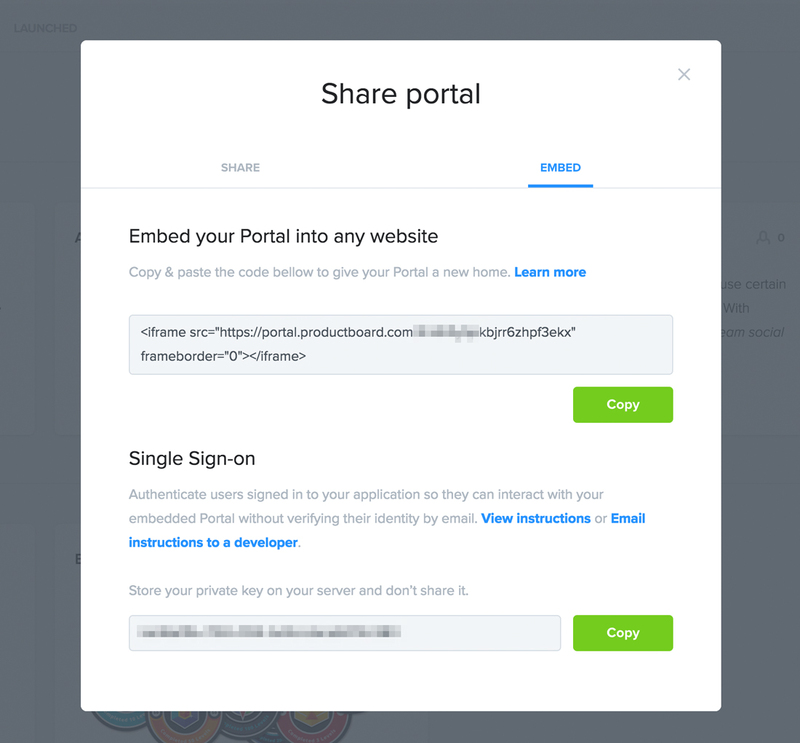 Finally, you can now customize the appearance of your embedded Portal by removing the Portal logo, header, and user avatar. The logo you choose for your Portal is now also used as the web page's favicon. And now for some non-Portal updates! In custom number columns, it used to be you couldn't distinguish the zeros from what was naught at all. All features defaulted to zero. Now features have no value by default. If you sort a custom number column in ascending or descending order, all values (including zero) will be ranked higher than null values. With the arrival of the EU General Data Protection Regulation, some customers may request that you remove all data associated with them from the third party systems your organization uses, such as productboard. Use the following API request to entirely delete data associated with particular customers from your productboard project.